After the worst winter I can remember we finally got out into the fresh air and started walking again, the place we headed for is a personal favourite of ours the North Chilterns. 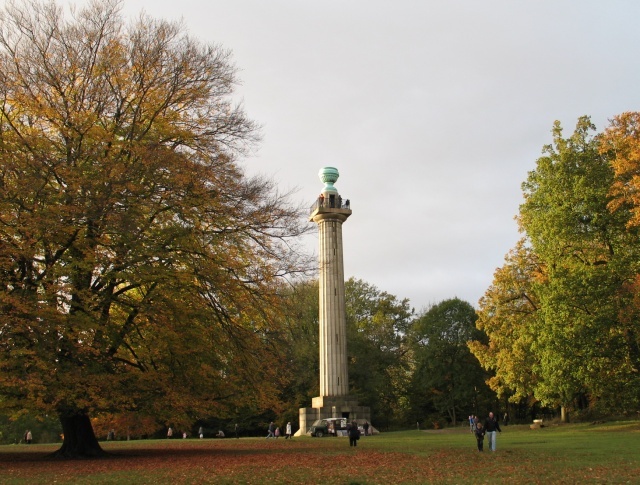 We started from the car park near to Ivinghoe Beacon and first made our way to the Trig point on the summit, we have covered this walk many times in this journal before but this trip was different because we finally made it to the top of the Bridgewater Monument on the Ashridge Estate. The Monument stands at 108 feet (33 metres) and you have to climb the 170 steps to reach the top. The wind was dreadful and the view was obscured by a hazy horizon so we could not see that clearly, however you can see Wembley Stadium and Canary Wharf from the top. The monument is in memory of Francis Egerton, 3rd Duke of Bridgewater the originator of British canals, and commissioner of the Bridgewater canal that most say was the first. He had a wealth of £2,000,000 and was one of the richest nobles in the land, and its with this wealth that he started to rebuild the Ashrige estate. 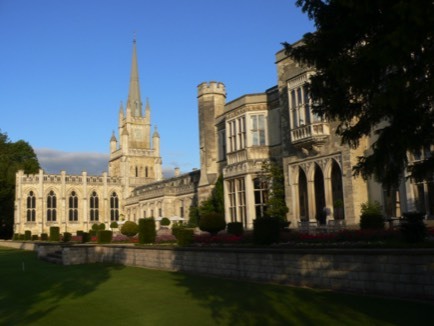 One day we will walk up to Ashridge house and have a look, I don't think its open to the public but we may get close enough for some photos. From there it was along to the village of Aldbury and a pint of Fullers London pride to get me ready for Pitstone Hill. Please find Garmin Gps data below.